The Halo singer was set for the lead role of rising starlet Esther in the film - which will be the fourth version of the musical since the 1937 original - but has told E! News that she has pulled out due to scheduling problems. She said: "I was looking forward to the production of A Star Is Born and the opportunity to work with Clint Eastwood. "For months we tried to coordinate our schedules to bring this remake to life but it was just not possible." 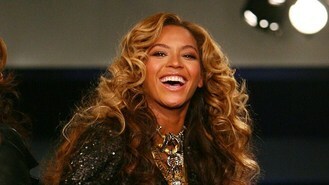 Beyonce added that she hoped she would get the chance to work with Oscar-winner Clint in future. So far it isn't known who will replace the singer or who will play the male lead, an established star who falls for Esther. Earlier this year there were reports that Leonardo DiCaprio, Christian Bale and Will Smith were approached for the role, but passed on it, and last month it was reported that Clint was keen on casting The Hangover star Bradley Cooper.